Our airsoft fields are creative and themed to increase the airsofting experience. With 15,000 square feet of air conditioned indoor playing space, the fields feature props and bunkers with things such as old airplane parts, cars, tires, buildings, bridges and much more! They also feature moveable walls that allow the fields to change to make each game different and interesting. Events at American Paintball Coliseum are the best around because each experience is unique and exhilarating for every player. Our friendly and expert staff will be happy to help guide you and your group through an action-packed afternoon while making sure all of our safety rules are followed! The sport of airsoft uses plastic BB’s as ammo which are shot through battery powered airsoft guns in a team versus team elimination game format. Airsoft less messy than paintball with all of the exhilaration and challenge. It is a great activity for players aged 10+ at any skill level. Whether you are looking for an intense extreme indoor sports experience or a beginners birthday party, our field supervisors also can lead several games that your group can play too to keep the action new and exciting! Airsoft is a high adrenaline activity that will be sure to keep everyone talking for months after! Book Now and Play Phoenix Airsoft! Looking to host an unforgettable party for someone special? Airsoft is the answer! Playing at American Paintball Coliseum is the ultimate airsoft experience located conveniently in the heart of Phoenix, Arizona making it an easy meeting point for everyone! Our air conditioned indoor facility is a great way to escape the heat while giving every player in the group an experience that they will remember for years to come! 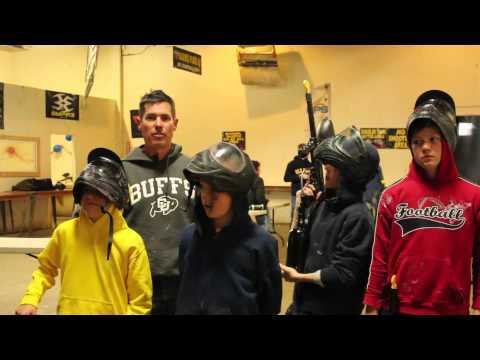 American Paintball Coliseum is the best place to host your birthday parties, bachelor and bachelorette parties, team building and corporate events so call today! In no time at all, you and your group will be on the fields creating priceless memories. Let the BB’s fly! We ask that reservations are placed for groups that require rentals, which can be made by calling us at (602) 275-5285. 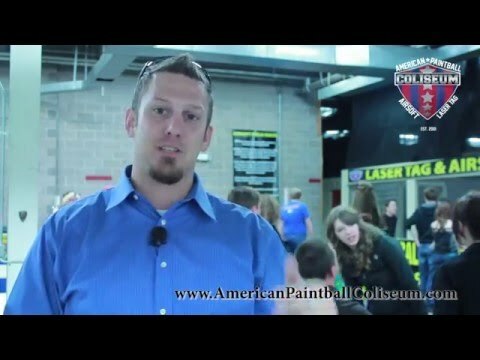 If you want your party to be the best one of the year, then you need to come to American Paintball Coliseum. 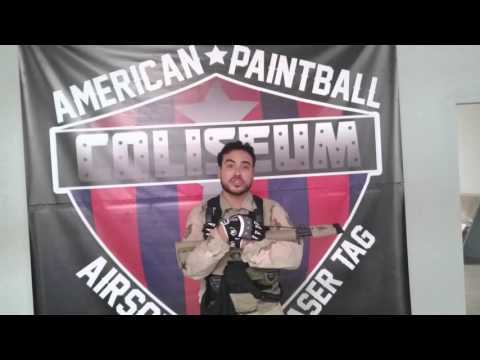 Call us today to schedule your party and see why American Paintball Coliseum is the best airsoft fields in Phoenix! Barrel bags are required on the end of every gun that comes into play. Barrel bags can be purchased at the field for $5. Ears, eyes and jaw must be covered at all times while playing and on the airsoft fields. Goggles need to be rated z87+ to be used at American Paintball Coliseum for airsoft. Hard plastic or metal mesh is required to cover the mouth and jaw area. Bandanas and face wraps are not considered adequate jaw protection. Ears can be covered with a helmet, beanie, or ear plugs. For questions on use of proper safety equipment, please contact us at (602) 275-5285. There is no official “Bang rule” at American Paintball Coliseum. What is a bang rule you ask? A bang rule usually states that if within a certain amount of space to another player, the word ‘Bang’ can be used to eliminate the opposing player. This causes issues between players and generally adds more confusion and frustration to the game. A ‘bang rule’ is also referred to and similar to a ‘surrender rule’ or a ‘distance rule’ if you have heard those terms before. If you would like, your group can choose to play airsoft with a ‘bang rule’ to help prevent close shots that come up during gameplay. To do this, talk with your field supervisor and they will make sure that your group is separate and accommodated for to make sure everyone has the best possible time. Book Now and Play Indoor Airsoft! Got Questions? Send us a message, we are happy to help.